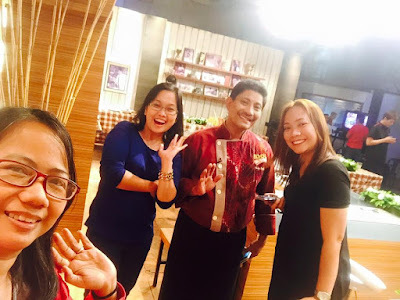 Chef Boy Logro and Ms. Bettina Carlos of Idol sa Kusina prepared these yummy dishes of Paksiw na Pata, Seafood Kare-Kare and Lengua Estofado for guest Ms. Regine Velasquez during the taping of its episode- "Akala Mo Lang Mahirap Gawin," which will air on July 12. So I went to the set without knowing that I'll be part of the audience- oh no! Too late to back out already. Luckily, I've already seen Chef Boy in action during one of the cooking events that I've attended so I know that the Chef is a good host. Also, I'm joining two other bloggers from MBP. 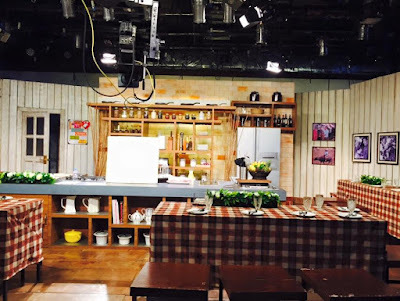 Here's what the set of Idol sa Kusina look like before the taping. 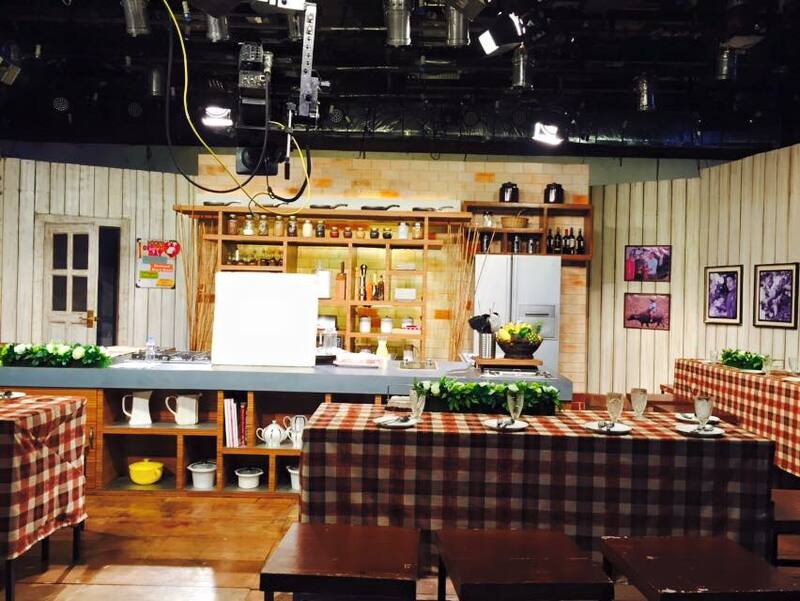 I really fell in love with the set/kitchen. The colors and decors are both homey and relaxing to look at. There's Chef Boy and Bettina being given last minute instruction before the camera starts rolling. 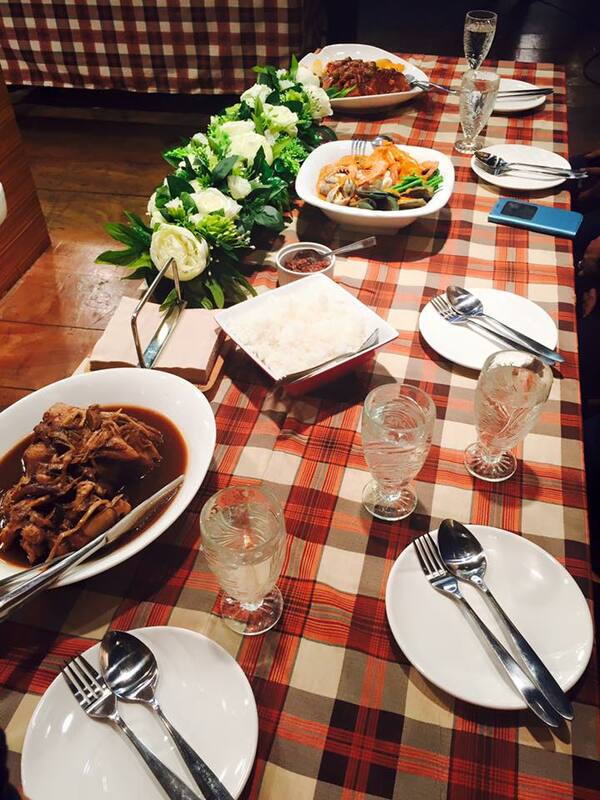 So during the duration of the taping, they were able to cook kare-kare, paksiw and lengua estofado. Really, we all have these idea that these dishes are hard to cook but seeing Chef Boy and Bettina in action makes me confident to try them on my own. 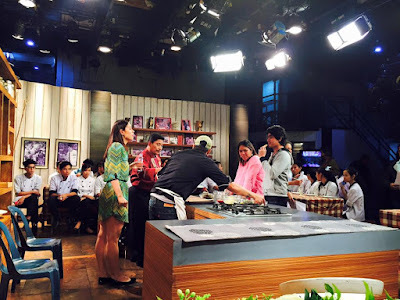 Then Ms. Regine Velasquez help them prepare the dessert- maruya with butterscotch sauce. Will be posting the recipes soon so stay tuned. 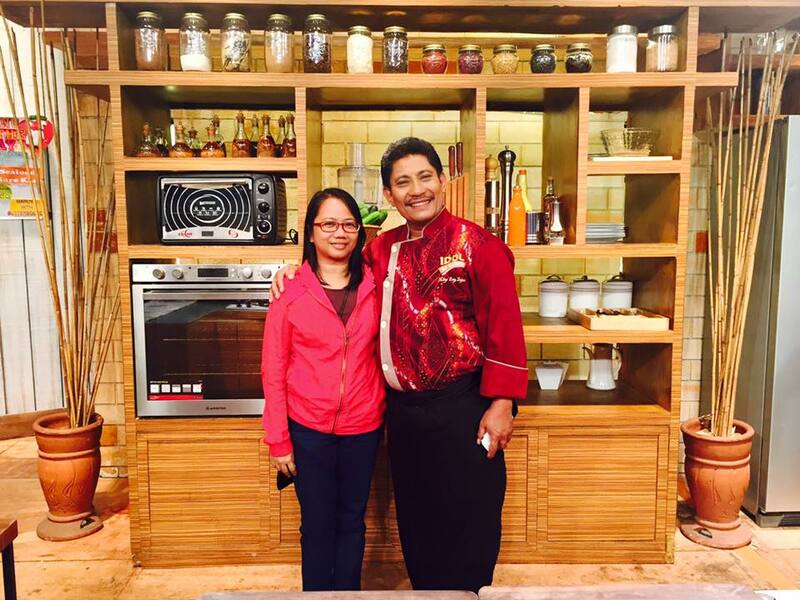 Can't resist not having a photo taken with Chef Boy Logro. And here's us- with Joy, Donna, and Chef Boy. Idol Sa Kusina airs every Sunday at 7:15pm in GMA TV Channel 11. Nice! I'd be starstruck if I see him. I love the way he cooks, reminds me of older cooking shows that were so exciting and fun to watch. I love Chef Boy Logro! He is such an inspiring personality. 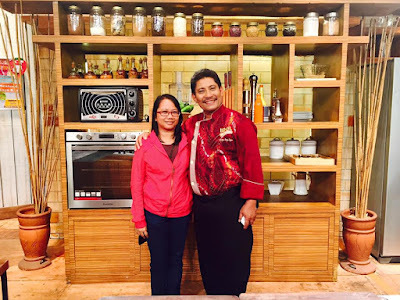 Chef Logro is such a nice person and its great to watch how he makes cooking fun and enjoyable. Oh you're so lucky! 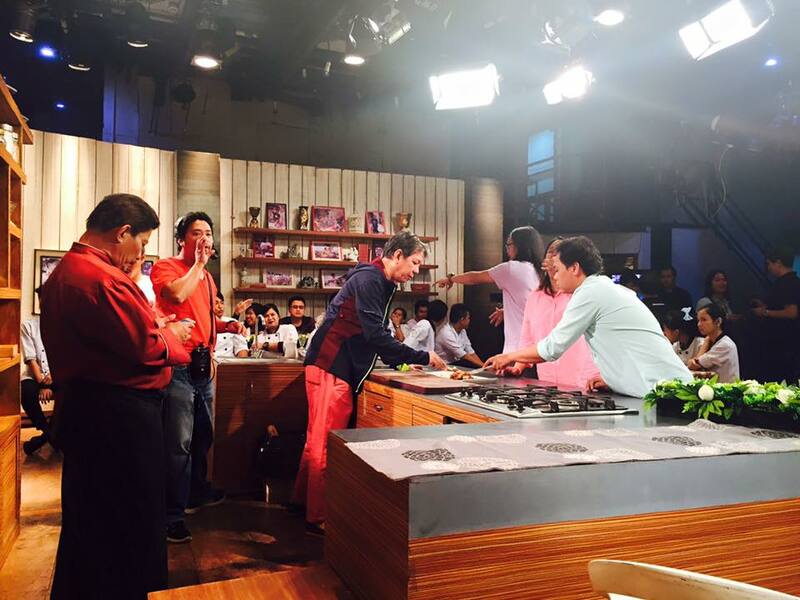 I'm such a fan of both Chef Boy Logro and Bettina Carlos! How fortunate that you were able to be part of the audience during the taping of this show. I have always been curious what goes on behind the cameras. Too bad I missed this! Looks like it was a lot of fun. Love Kare Kare! Wow you get to watch the show live naks! Hoping that I can watch Chef Boy in action, too! Chef Boy Logro is really a funny person, and I love watching him cook and host a show.